When I lived in Scotland I would take all day to climb and activate one hill, now in the south of England a walk and activation can be over in an hour. So the plan today was to do 3 hills and make a full day of it. 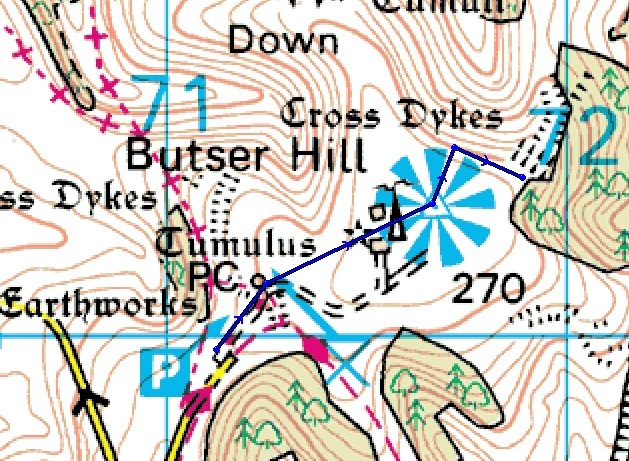 My local hill is Butser Hill (SE-004) which I tried to activate on 2FM last year but only managed 2 QSO’s so I planned to make that my final hill of the day with Chanctonbury Ring (SE-009) and Black Down (SE-003) making a nice round trip (well a triangular trip to be precise). The plan was to Travel to Chanctonbury Ring first via the M27/A27. From there a short journey north-west to Black Hill before heading to Butser Hill via the A3 then home for tea and tiffin. FT-817 plus 2Ah SLAB, linked dipole 60m, 40m & 20m and palm paddle keyer. 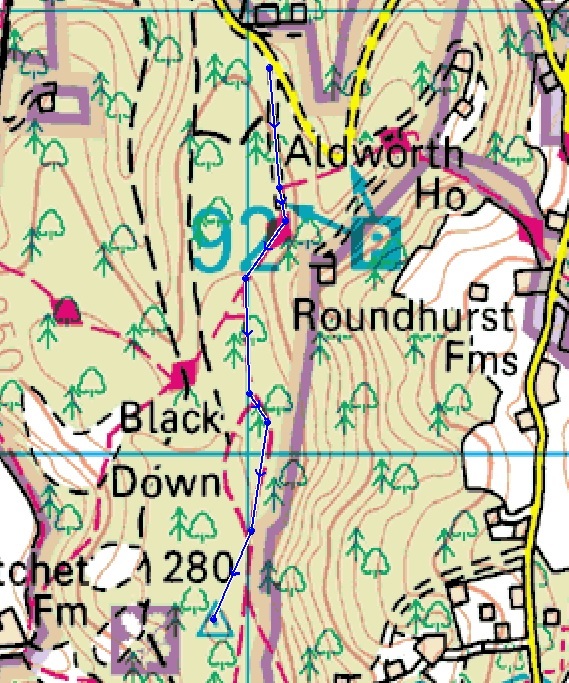 After self spotting I opened up on 60m and first in the log was Phil G4OBK quickly followed by Caroline G6WRW and Bill G4WSB then silence. Despite calling several times there was no response so a QSY to 40m SSB brought PA2NJC, G0VWP and EB2JU into the log then again silence. Finally a call on 40m CW brought a further 3 contacts with G4OIG, G4SSH and a S2S with Gerhard DL4TO/P on Rechberg DM/BW-100 then – you guessed it – silence. 9 contacts in 25 minutes had been hard work but at least the hill was qualified and I was now packed and on the way back to the car. 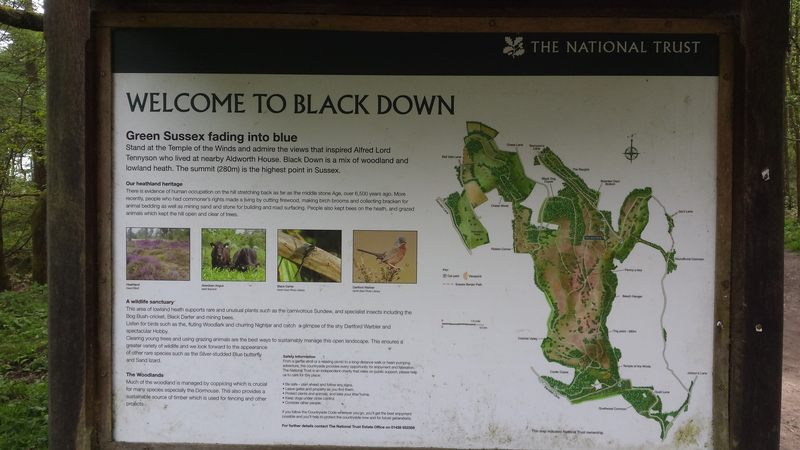 The journey to Black Down was very pleasant and took about 30 minutes. 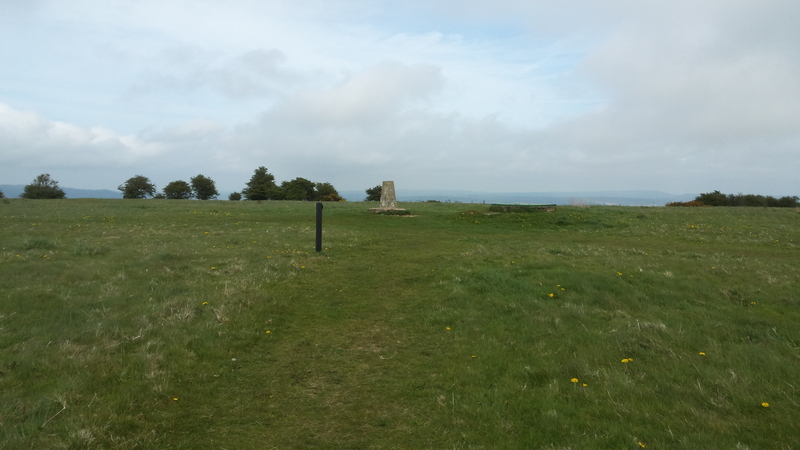 A further 20 minute walk along good woodland tracks brought me to the trig point. Distance walked 0.82 miles, ascent 106 feet. FT-817 plus 2Ah SLAB, linked dipole 60m, 40m & 20m and palm paddle keyer. For VHF – VX-170 and Sotabeams Rucksack special (RSS). Based on this morning experience I wasn’t expecting a great deal from the bands and I wasn’t disappointed. 60m was totally dead so a quick change and self spot for 40m SSB brought in the customary 3 QSO’s (there was a definite pattern today). First in the log was M0DGY followed my the Edinburgh duo Ken GM0AXY & Christine GM4YMM. Switching to CW broke the trend with 5 QSO’s from G4SSH, DL1DVE, DJ5AV, F6EAZ and a S2S with HB9AFI/P Kurt on Mont Pelerin HB/VD-043. It was at this point that I heard the rumble of thunder in the distance so decided to break camp and head back to the car. It was only when I was half way back to the car I realised that the thunder was in fact the sound of commercial aircraft in and out of Gatwick Doh!!!! The journey from Black Down to Butser Hill took about 45 minutes and for a change the car park was fairly empty especially on such a warm sunny May day. From the car park I headed for the trig point via the transmitter tower then decided to drop off the NE side to the shelter of the trees and a suitable fence to secure the mast. Distance walked 0.62 miles ascent 120 feet. Based on this mornings experience I decided to open up 40m SSB and wow what a difference a few hours can make. Following a self spot I had 16 QSO’s in the log in 14 minutes. It could have been a lot more but my SLAB ran out of juice and the 817 shut down. QSO’s were logged with G4WSB, G6TUH, M0JLA, G0VWP, G4OBK, G4TSQ, G0TDM, G8MNY, EI7CS, G4WYL, G4WHA/A, M1CNL, G4OIG, GM0AXY, GM4YMM and DJ5AV. Despite the minor annoyance’s I had a thoroughly good day out. Thanks to everyone who called in, your company was very much appreciated. After a great week away we were on our way home in pouring rain and low cloud. 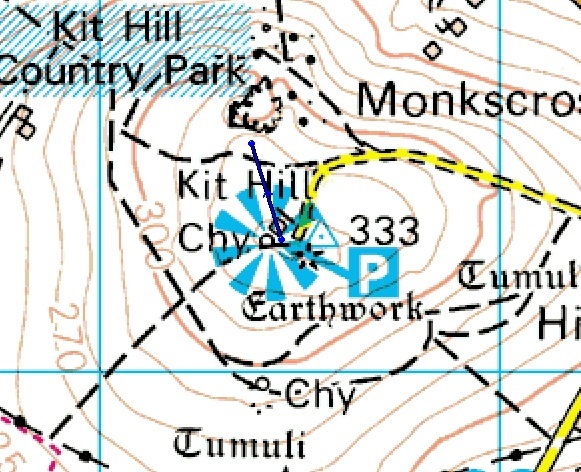 The plan was to activate Kit Hill enroute if I could find it in the fog!! So as we started to drive up the road to the summit car park the fog got more and more dense and when we reached the to car park we both admired the magnificent views afforded to most people who venture up the hill. The plan had been to make this a smash and grab and the wife was very amused as I got out of the car, unplugged the VX-170 from the mobile aerial and attached the rig to my rucksack special aerial. I had to explain the rules of SOTA and that I had to move away from the car. So I set off into the pouring rain with visibility about 10 feet. It took me over 20 minutes to qualify the hill with 2m FM but eventually I got the 4 stations in the log and quickly headed back to the car. Thanks to G0RQL, M0ZOL, M0ZGY & G0AVJ. Will be nice to go back one day when the sun is shining and see what we missed.